Home stay with a local family: living with a host family puts you in a privileged & unique position to practice Spanish 24/7, and offers you an exceptional opportunity to experience the Latin culture, customs and way of life during your Spanish course in Boquete. Budget Hostels: the best hostels in Boquete within the low price range for budget travelers. 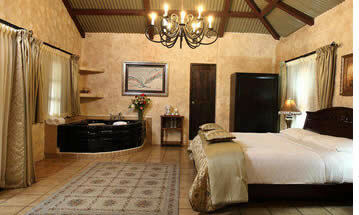 Mid Range Hotels and Bed & Breakfasts: the best value and most convenient mid-range hotels in town. Luxury Hotels & Country Inns: the finest top end hotels. 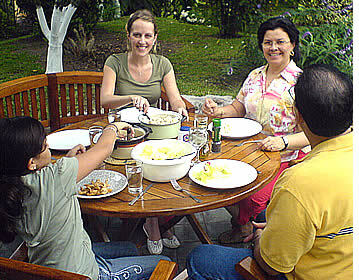 We have many different types of families in Boquete and this allows us to choose the best host family for you. With our homestay program each student is given his own private room and can choose from having breakfast, half board (breakfast and dinner) or full board (three daily meals). Most of our host families in Boquete are within walking distance to our Spanish school and a couple of others are within a short ride using public transportation. Selecting the perfect family for each immersion student is the key to organizing a successful language immersion program. We ask every immersion student to carefully fill out an Immersion Pre-Program Interview that will help us choose the best family for their Latin Cultural & Total Spanish Immersion Program. It really helps to know more about you before choosing your host family. 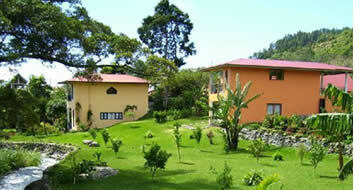 Hostal Garden, Pension Topas and Gaia Hostel are our favorite low budget hostels in Boquete. 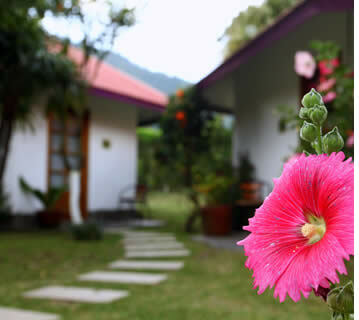 Isla Verde's Roundhouses & Suites, Casa de Montaña and Boquete Garden Inn are our favorite bed & breakfasts and mid-range hotels in Boquete. 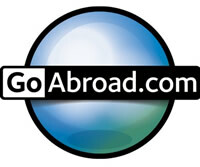 Top price range hotels will cost between $65 and $300 US Dollars per night. The rooms themselves will be very comfortable indeed and the hotel will also offer a complete range of guest services that may include restaurants, bars, pools, spas, gyms and other facilities such as golf courses, meeting rooms, business centers, etc. In this category you'll find Boquete's most luxurious options and you'll certainly remember your stay at these special places wishing to return soon to enjoy a piece of heaven. Valle Esondido Resort, Golf & Spa and The Haven Spa & Hotel are our favorite luxury hotels and top end country inns in Boquete. In case you prefer booking a place on your own, we also have a list of websites with classified ads and offerings of places to rent and for lease, and a list of real estate agents in Boquete. 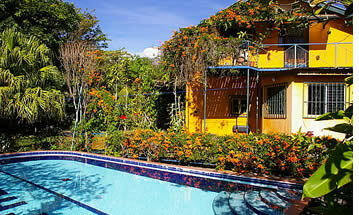 Isla Verde and Valle Escondido's Vacation Villas are our vacation rentals in Boquete. We will do our best to help you find a place to rent in Boquete, but we are not a real estate agent so we apologize if our "standard options" do not meet your specific needs or if we are not able to hunt down the perfect house for you. We will tell you about all the options that we know about and then help you secure the arrangement once you have made your decision. This service is ONLY available for Habla Ya students who sign for 1 month for at least 80 hours of Spanish lessons. 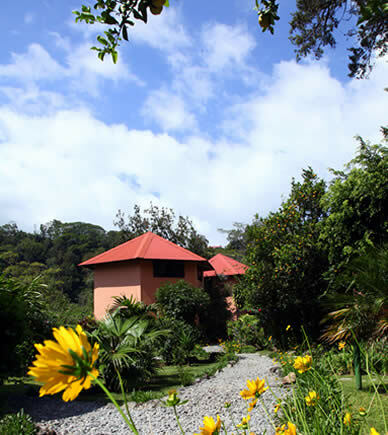 Where should I stay in Boquete, Panama? Where to go out in Boquete? Like any place in the world, it is important to know where to go if you're looking for some entertainment during the evening. As Boquete is a relatively small town, its nightlife highly depends on who you bump into. The key for having a good time is to know where the party people are going to be. Boquete is certainly not the party capital of Panama (unless you consider the time during the fair in January or the national celebrations in November), but there are many opportunities for everybody to have a good time if you have the correct information. Whether you just want to enjoy a pleasant meal at one of the finest restaurants in Boquete, hang out and have a couple of drinks, chill out with some friends or just party hard, it really helps to know where to go and when to go there. If you're just passing by Boquete, feel free to leave us a line at and we will let you know what is happening in town. For those who choose to study Spanish with us, once you're at our Spanish school, our staff will let you know exactly what is going on in town, but if you would like to have a better idea about what to expect, go to our info section about Boquete for a list of several bars and clubs in Boquete.